 For the 2018 summer season, Alagna Valsesia has in store many interesting activities dedicated to both families and sports lovers. Let’s discover the history of the Alps, in depth! The didactic path is a circular track that starts from Passo Salati, reaches the Scientific Institute Angelo Mosso, the Rifugio Vigevano, the Col d'Olen, climbs to the Corno del Camoscio and leads again to Passo Salati. It aims to promote the knowledge of the geological history of the Alps and the characteristics of high altitude grounds. Reachable by a short and scenic path, the Istituto Angelo Mosso, opened in 1907, is located near the Col d'Olen, almost between Valsesia and Valle di Gressoney, at 2,901 meters. Research, laboratories and training are still at the core of the institute's activity; the institute is open to the public for a visit that includes the outputs of many years of research and ancient instruments! This easy track, about 2.3 km long and with a ascension of 53 meters, allows you to reach the peack of Corno del Camoscio (3,026 m) which offers a magnificent view on the Monte Rosa massif, Punta Giordani and the eastern Lyskamm. The path then leads to Col d'Olen and the Angelo Mosso Research Institute. Along the botanical path from the end of June to the end of August it is possible to admire the flowering of numerous species and to observe the alpine flora. A circular cycle and pedestrian itinerary through the green expanses of Pianalunga and Alpe Seiwji: this pleasant ride can be followed in stages, between a slideon the Tubing, a panoramic stop-over, a look to the animals and a typical dish in the Rifugio! For those who, under the watchful eye of an Alpine Guide and in a pleasant group experience, want to get closer to the majestic glaciers of Monte Rosa. Itineraries starting from Passo dei Salati and arriving at the Rifugi Mantova (3.498 meters) and Gnifetti (3.647 meters), just one step away from the highest white peaks, in the true heart of the Massif. m), for a maximum length of 5 km. Unmissable stops along the way are the Istituto Angelo Mosso, and the Col d'Olen, an exceptional panoramic spot on the Valle. You can choose your favorite downway or try them all, or even explore Monte Rosa frim Alagna to Champoluc! A jump into the void from the middle of a 200-meter-high vertical rock face ofCimalegna, the thrill of the launch and finally the beauty of the entire Valsesia. It is the most adrenaline jump in the Alps, a unique and exciting experience, a unique way to experience the mountains in total safety. For young explorers a journey made of fun experiences, nature and all the ingredients of the magical mix of Alagna; the stages are all to be discovered, including the Tubing, outdoor games, mountain pastures, streams and panoramas! A slide into the green, surrounded by flowering meadows and pastures of Pianalunga. You can slide alone or in pairs, in complete safety.